You can manage your subscription to TxDOT Update here. Here's our roundup of Texas Department of Transportation news and events. If you have any questions, comments or just want to know more about something you read here, send a message to AskTxDOT@txdot.gov. Former Pennsylvania Gov. Ed Rendell and U.S. Sen. John Cornyn will serve as keynote speakers at the 7th Annual Texas Transportation Forum, set for Feb. 15-17 at the Grand Hyatt Hotel in San Antonio. 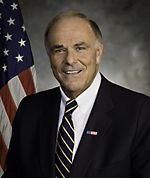 Rendell is a strong advocate of a national infrastructure investment policy and will make his second consecutive appearance at the Forum. He will deliver the keynote address at the general session breakfast on Friday, Feb. 17. 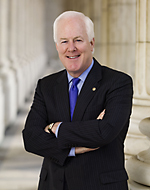 Cornyn will give the closing keynote at the Feb.17 luncheon. Come join us and hear Rendell, Cornyn and other leading experts discuss timely transportation topics. Monday, Feb. 6 is the last day of regular online registration (5 p.m., CST). On-site registration will be available during the Forum. Please check the Forum program for updates. Engineers attending the Forum can earn Professional Development Hours. Find out more here. Reserve your hotel room and register now for your seat at the table. See you in San Antonio! Texas motorists soon will see speed limit increases to 75 mph on approximately 1,500 miles of interstate highways. The Texas Transportation Commission has authorized the new speed limits on segments of I-10, I-20, I-27, I-30, I-35, I-37, I-40, I-44 and I-45 after engineering studies showed that higher speeds could be posted safely. New signs will be installed in the next few weeks. But, the higher speed limits will not be effective until new signs are in place. 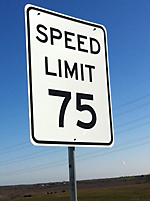 A bill enacted by the 82nd Texas Legislature allows TxDOT to establish a 75-mph speed limit on any state highway if studies show it to be safe. 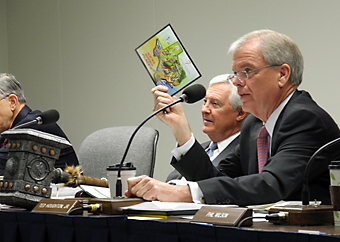 The Commission authorized the higher speed limits at its January meeting. Authorized the Camino Real Regional Mobility Authority to participate in funding the Loop 375/FM 659 intersection project through the city of El Paso’s transportation reinvestment zone. Approved the selection of a vendor to provide statewide toll system integration and maintenance of TxDOT toll facilities. Established fees for administering electronic toll collection customer accounts. The Commission also received a report and conducted a public hearing on the highway project selection process for the 2013 Unified Transportation Program, the 10-year statewide plan for transportation project development. TxDOT's Corpus Christi District will host a series of public hearings Feb. 2-9 on the proposed upgrade of US 77 from I-37 in Corpus Christi to US 83 in Harlingen. The proposed 122-mile project is a four-lane, divided highway with control of access that meets interstate standards. Planned improvements include new overpasses, new interchanges, new frontage roads, upgrades to existing ramps and conversion of two-way frontage roads to one-way frontage roads. Hearings are scheduled in Raymondville, Sarita, Driscoll, Kingsville and Riviera. TxDOT has issued a request for qualifications (RFQ) from teams interested in entering into a comprehensive development agreement for the design, development, construction, financing, maintenance and operation of the I-35E Managed Lanes Project from I-635 to US 380 in Dallas and Denton counties. Responses are due March 23. Super Sunday is a time for celebration, whether you're rooting for the Giants or Patriots. Arrange a sober ride home before kickoff. Don't wait for the clock to run out before you decide to pass up the drink or pass off your keys. 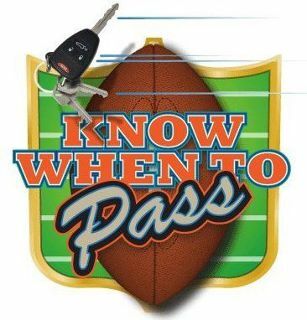 TxDOT wants you to enjoy the big game and stay safe. The new I-35 flyover at Loop 340/SH 6 in Waco is open. TxDOT hosted a ribbon-cutting in late December to celebrate the completion of the flyover, with Texas Transportation Commissioner Jeff Austin III participating. 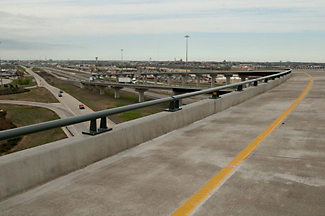 The flyover is part of a 94-mile, $1.9 billion corridor expansion through Bell, McLennan and Hill counties. If you're planning a road trip, remember that road conditions can change quickly due to the weather, construction and natural disasters. TxDOT keeps you up-to-date on road conditions in your area and throughout the state. Call (800) 452-9292 for current road conditions, or view them online. TxDOT produces a weekly Statewide Podcast to keep you updated on the latest transportation news and issues, and new podcast episodes are published every Friday on the TxDOT website, www.txdot.gov. In this week's episode, we talk with Len Mitzel, a Member of the Legislative Assembly of Alberta and board member of the Ports-to-Plains Alliance, about the importance of a 2,300-plus mile trade corridor between Texas and Canada. (This episode was originally recorded during the 6th Annual Texas Transportation Forum and aired in January 2011.) Episodes are also available on iTunes. All inquiries may be directed to AskTxDOT@txdot.gov.